Running a machine shop and operating ironworkers all day is hard enough work without having to convert fractions to decimals in your head. 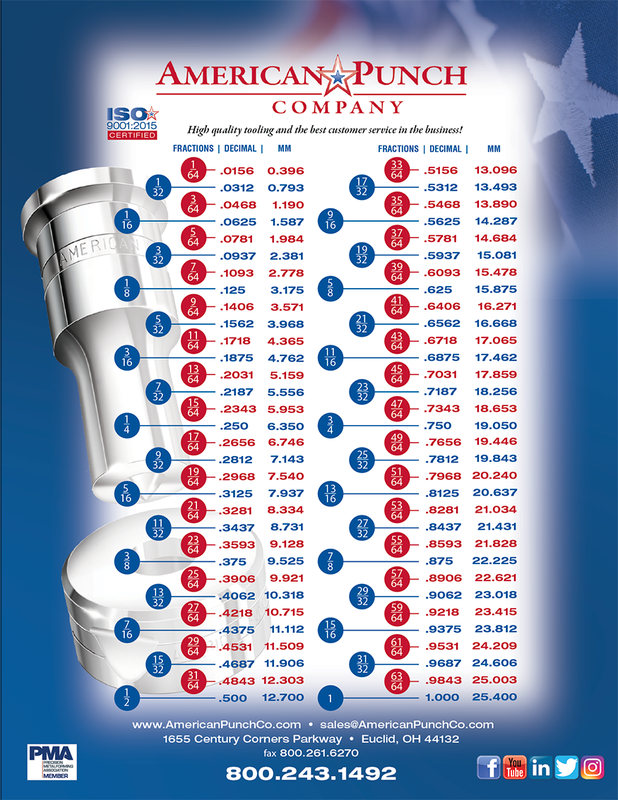 But American Punch has your back – we’ve provided the handy fraction to decimal and millimeter conversion chart below for your use. Have other metal working challenges that you face every day? We’re here to help with all your punch and die needs – Contact us today for the assistance you need.